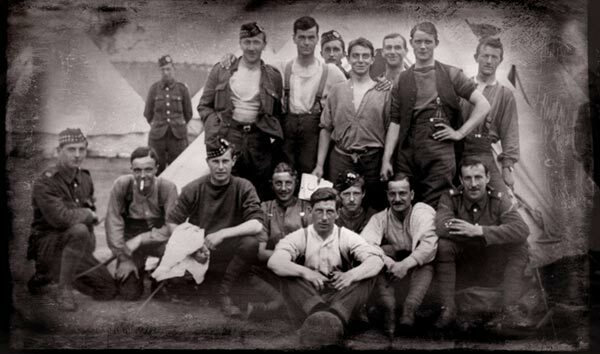 History : The Story of McCrae’s Battalion. THE FIRST VOLUNTEERS for McCrae’s Battalion were eleven professional players from Heart of Midlothian, leaders of the Scottish League and considered by many observers to be the most irresistible footballing combination in Great Britain. If Scotland was the home of the scientific game then Hearts and their great Glasgow rivals Celtic represented a glorious future. But in 1914 the Hearts players exchanged the certainty of honour on the sporting field for the decided uncertainty of a different kind of honour on a different kind of field. Their decision took them to the Somme, where the finest battalion in Lord Kitchener’s armies was destroyed in a matter of hours. Almost three-quarters of the fighting strength became casualties, including several of the Hearts lads and their pals from other football clubs.